In the late 70's three brothers The Chordsmen Quartet was formed by three brothers, Thomas, Gary and Keith Jennings. The group traveled for 15 years all over SC, NC and Ga. spreading the gospel of Jesus Christ in churches and concerts. As life goes, changes came and the group had to leave the road. Now after all of these years Jerry and Harold Jennings, Thomas's two sons, "Renewed" the family group in 2013 and God has been blessing them way beyond their wildest dreams. Starting with nothing but the two of them and a strong commitment and love for The Lord, they are now an award winning ministry with two other gentlemen that have the heart for ministry. Jerry says " We may not be the best singers in the world, but nobody loves The Lord and loves to minister more than we do." The Chordsmen have been honored to sing with some great singers in this business and have made some great friends in many areas. 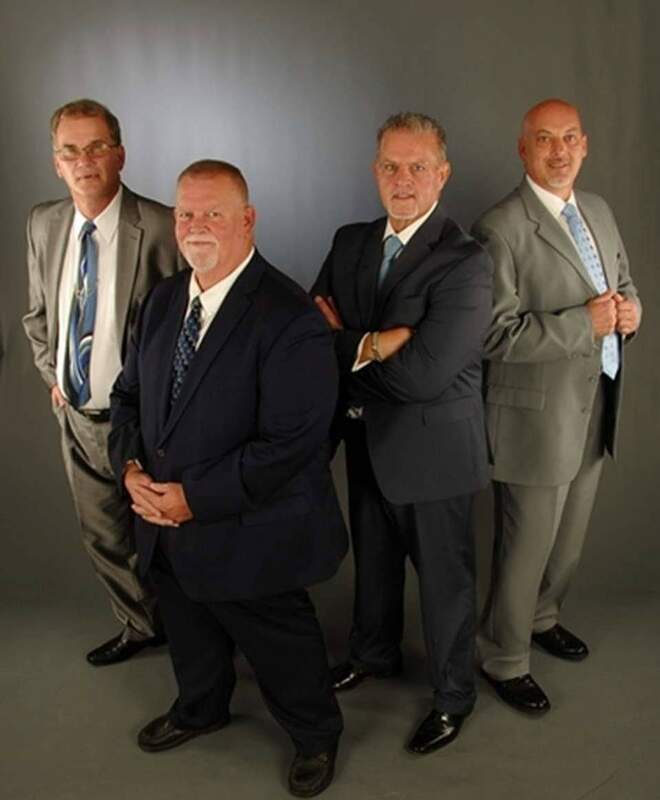 In 2015 they were voted Male Qt of The Year in the Lighthouse GMA out of Hickory NC, and we're invited to sing on the NQC Artist Showcase at the convention in Pigone Forge TN. Now in 2016 they are nominated for Group and Male Quartet of the year in the LGMA and will be singing at Song Fest 2016 in Spartanburg SC in September. Randy Leslie, the groups baritone singer and bass player says, "Our goal is not to glorify us, but to glorify God in our songs and in our personnel lives to the best of our ability."